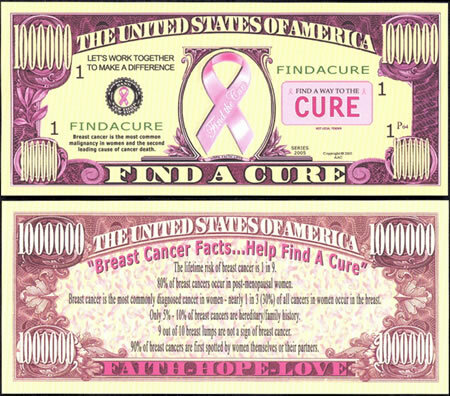 Find A Cure Novelty Note Breast cancer awareness note with facts about breast cancer. Lets work together to make a difference. These novelty notes are not legal tender.